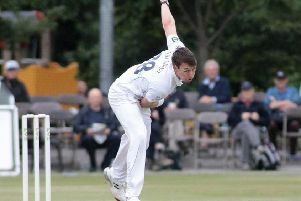 Wayne Madsen has committed his long-term future to Derbyshire after signing a three-year extension to keep him at the club until the end of the 2022 season. The 34-year-old is the county’s leading run scorer in 2018, hitting over 1,500 runs across all forms. The top-order batsman has scored 1,002 first-class runs this summer – the fifth time he has reached the landmark in a single season for Derbyshire – and he is currently the second highest run scorer in the Specsavers County Championship Division Two. In total, Madsen has featured in 145 first-class matches for Derbyshire, scoring 9,725 runs at an average of 40 and with 27 centuries – the joint fourth most ever for the club. The all-rounder has also performed consistently in both white ball formats this summer, scoring 231 runs in the Royal London One-Day Cup and 328 runs in the Vitality Blast. He is the Club’s all-time leading Twenty20 run-scorer with 2,342 runs at an average of 30 and with a club-record 15 half-centuries. He has played in 84 List A matches, scoring 2,688 runs at an average of 42 and with a top-score of 138. Cricket Advisory Director, Colin Tunnicliffe said: “Wayne is a fantastic man and one of the greatest players this county has ever had. “Year after year, he continues to perform consistently across all formats and is a real leader in our team. 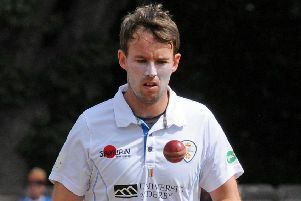 He is a world-class player and there is no question that he would strengthen any side in county cricket. Madsen added: “I’m delighted that Houghts is back. He’s an outstanding coach and I have huge respect for him. The club’s vision under Houghts is exciting and has made my decision to stay an easy one. “I love Derbyshire, the county and its people, and together as a team, I believe we have the talent and ambition to achieve something special.